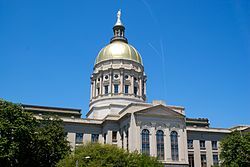 CSA maintains representation with the Georgia General Assembly to ensure that our voice is heard on issues relating to our industry. Historically, our key issue has been the lien law, which would not offer the protections our industry enjoys today without CSA's efforts. CSA also has representatives on state committees drafting regulations and codes relating to products our members sell. The goal is to ensure that new codes are reasonable and that implementation times will be long enough for our members to deplete inventory that will not meet new requirements. CSA also maintains a political action committee dedicated to supporting candidates for state office who understand the value and needs of our industry.